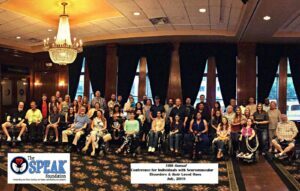 We invite all individuals with LGMD, family members, organizations, health care professionals, researchers, drug developers, public health organizations and any association with an interest in LGMD to join together and help us increase awareness of these rare and progressive neuro-muscular diseases which historically have not gotten the attention that they deserve. Sadly, even many patients living with LGMD have had limited knowledge of their LGMD diagnosis and the progressive disease process. Our goal is to globally draw attention to this group of rare neuromuscular diseases which can impact the lives of many from childhood through adulthood as LGMD occurs in all parts of the world & among all ethnic groups. We believe that through social media, the participation and awareness will have a broader reach and impact. To keep abreast of our global initiatives and the educational components of LGMD Awareness Day, please join us on Facebook. We are providing educational posts on LGMD, featuring LGMD “Spotlight Interviews” and are also posting information that is pertinent to the entire community. 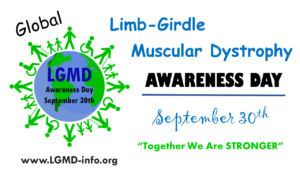 Everyone is invited to support LGMD Awareness Day! 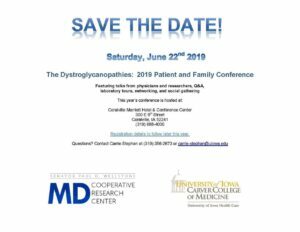 We encourage individuals, patients, family members, patient organizations, health professionals, researchers, drug developers, public health organizations and the general public to participate. The more people involved – the better! As individuals with Limb Girdle Muscular Dystrophy (LGMD) we live in different geographic areas, speak different languages and observe different customs. There will be a number of ways to participate as September 30th nears. Globally we can work together to increase awareness of LGMD through the sharing of personal experiences, educational materials, and social networking. As individuals with Limb Girdle Muscular Dystrophy (LGMD) we live in different geographic areas, speak different languages and observe different customs….we encourage you to be creative in finding ways to celebrate this global event in your region. Visit our “Become an Ambassador” page for details on promoting local awareness in your community. Visit our “Resource Materials” page to download promotional tools to assist you in raising awareness of LGMD. Join our “Lime Green for LGMD” campaign to raise awareness.